Styled with '90s cozumel bodysuit , the utility jacket and logo high ankle . Easy like a three-day weekend. These shorts have a drapey fit and drawstring waist. 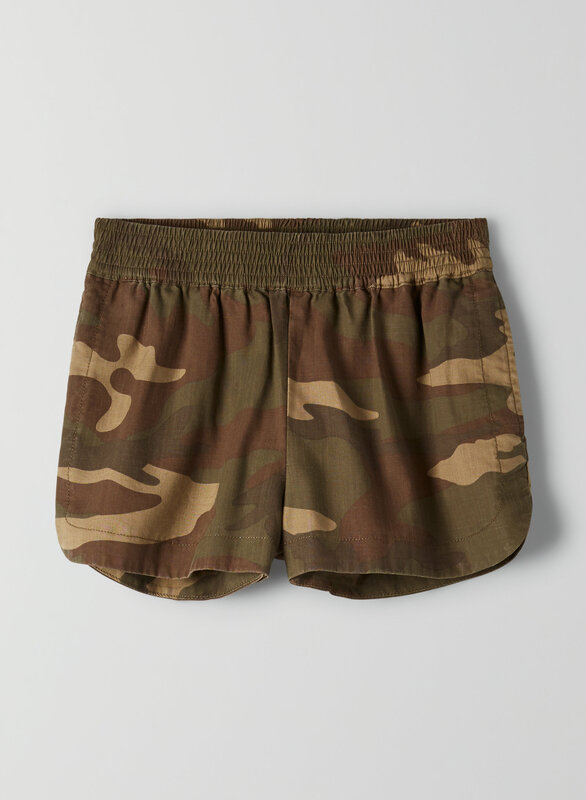 The camo-print fabric is made with TENCEL® lyocell — a super-light, soft fabric that looks like denim.